RARE OPPORTUNITY to own an OVERSIZED (~ 80,000 sq ft) BAYFRONT LOT on beautiful Broadkill Beach! There is a reason these lots are not on the market often ~ each of the last two owners has kept this property for over 20 years. Now it can be yours! Priced at lot value, but the cottage is usable as is, or you could renovate, or tear it down & build new! The property comes with a DNREC BUILDING PERMIT for a 3 BR, 2.5 bath home, a MOUND SEPTIC PERMIT, and Sussex County variance, to save you time, hassle, and money. 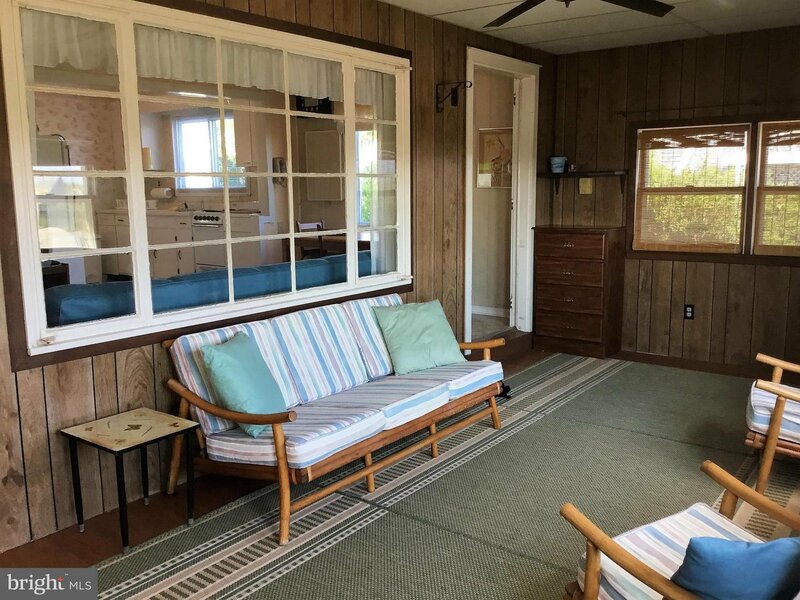 This authentic, stick-built Broadkill Beach cottage has 2 bedrooms, 1 bath, NEW central A/C, outside shower, a 27 ft sunroom, and a sand-floor basement for storing chairs and beach toys. Enjoy move-in ready convenience immediately after settlement, as the sellers are willing to leave the furnishings if you like. This property currently has a fully functioning cesspool, but with an acceptable offer, the owners will consider providing an allowance for installation of the permitted mound septic system. Broadkill Beach is the perfect getaway, and features 2 miles of year-round dog friendly beaches to walk, run, play or fish. If you love paddle boarding, kayaking, bird watching, or just relaxing by the water, this is the property for you. And it is protected by a large new sand dune! Whether you are looking to buy a waterfront beach cottage or build new, this is a property you will certainly want to consider. Call for your private showing today!